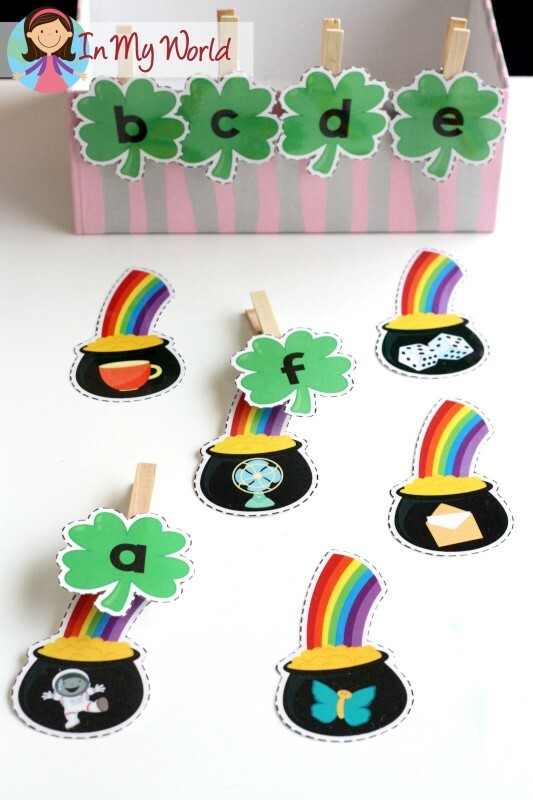 I thought I would surprise you all with a cute St. Patrick’s Day activity, seeing as it’s only a couple of weeks away! Best of all, the entire unit is FREE! Click on any of the pictures to download it and if you decide to try it out, please leave a comment letting me know how it worked for you! So… let’s see what’s included! 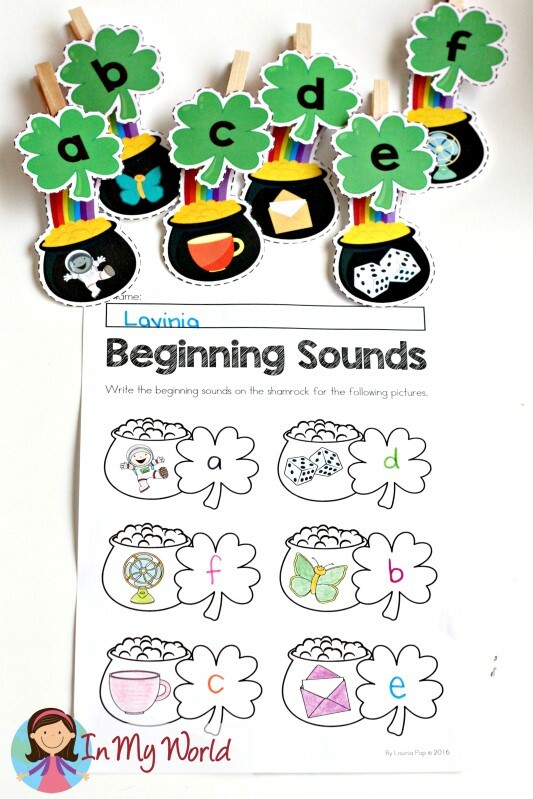 The aim of this St. Patrick’s Day activity is for children to match the letters on the shamrocks to the pictures on the pots of gold. 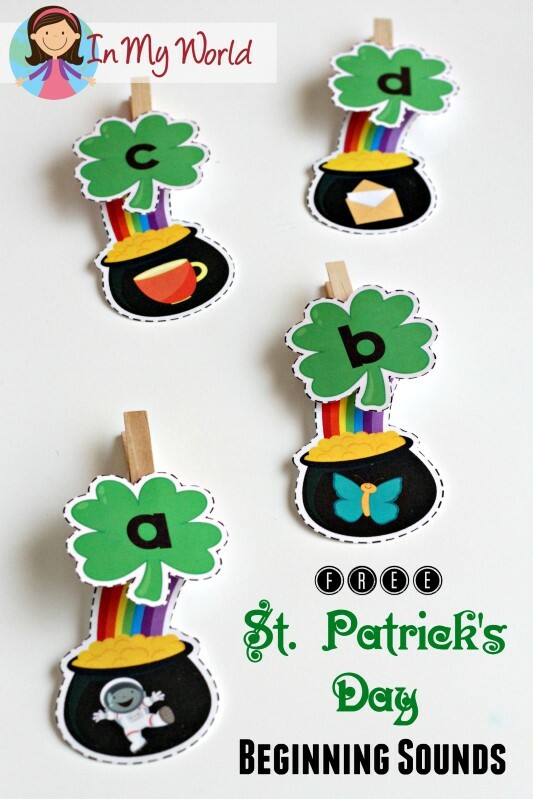 You can turn this into a fine motor activity by adding household pegs to the shamrocks. 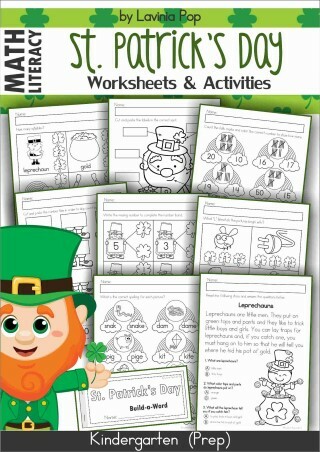 Included are also some worksheets. 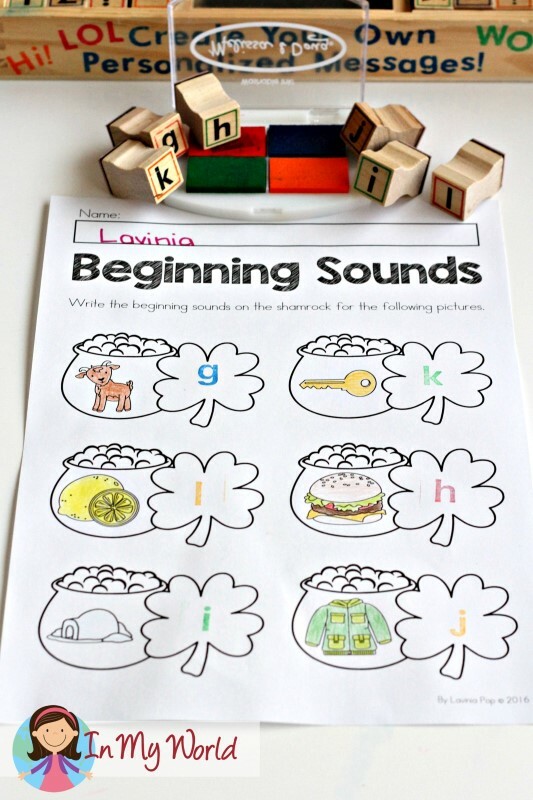 They can be completed independently, so there is no need for you to print both the activity and worksheets; if you want to save on ink, I’m sure the worksheets on their own will be just as fun for your kiddos. For children who have difficult writing, try using stamps instead of asking them to write the letters. Of course, you can also have children do the activity and then the worksheet as a means of recording their answers. 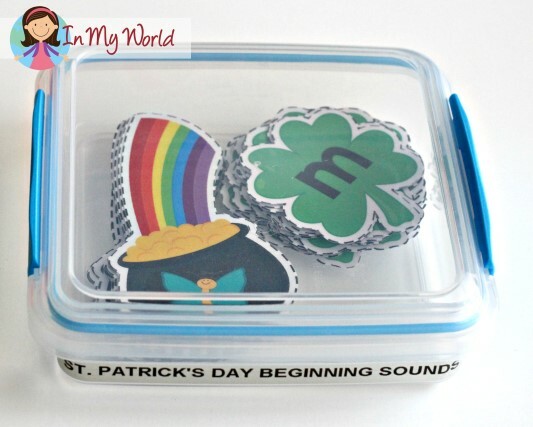 If this is what you’d like to do, I think it’s best if you store the gold pots and shamrocks together with the worksheet in a plastic pocket, or a storage device that suits you best. How do I store activities at our place? Well, once upon a time, I used to love plastic pockets and zip-lock bags. However, the zip-lock bags soon began to rip at the bottom and I had to find another solution. I now store things in plastic tubs that I purchase only when on sale or from dollar stores, like Uncle Buck’s (Australia). The worksheets are always kept in plastic sleeves inside a binder. Well, there you have it! I truly hope your kiddos have heaps of fun with this activity! 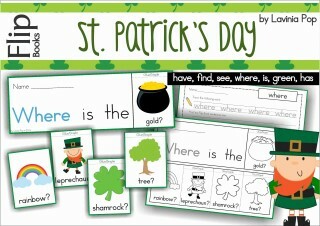 If you’re in need of some other resources for St. Patrick’s Day, you may like some of the resources listed below. They are available for purchase in my TpT store. 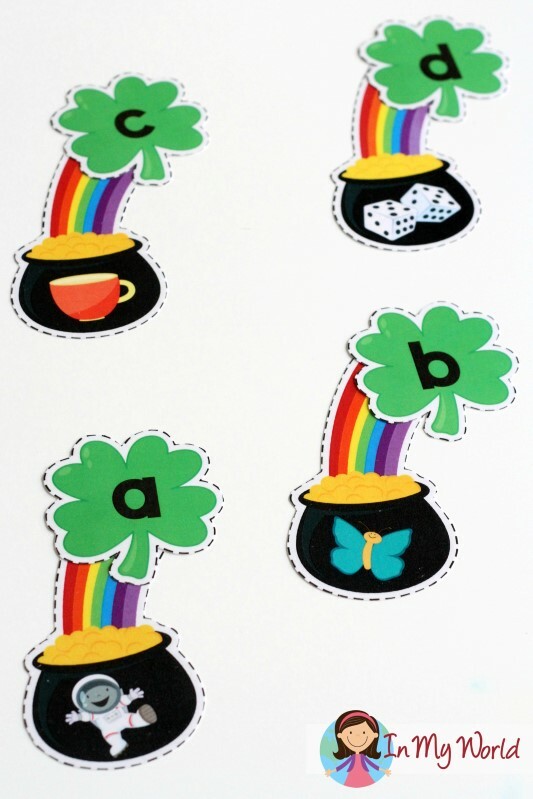 St. Patrick’s Day Flip Books in colour and black and white. 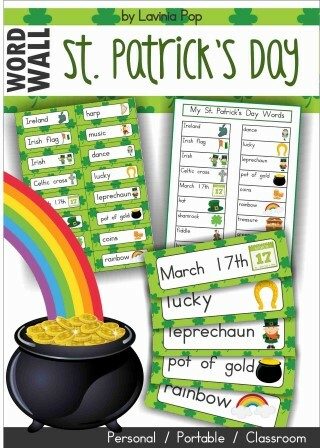 St. Patrick’s Day Word Wall. 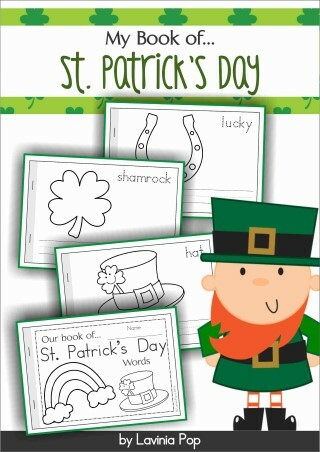 St. Patrick’s Day Vocabulary Book. Thank you so much! This is such a cute activity and I can’t wait to do it with my son. Did you do the cutting with scissors? That’s a lot of rounded edges. Lol! I’m not sure I’m that good! These are SO cute, and I’d love to use them, though! Thank you! thank you for a great freebie! Thank you Lavinia! My kiddos will have have fun stamping and matching!